Most Westerners working in Afghanistan spend their time tucked inside a military compound or embassy. Not Deborah Rodriguez. Here, she tells the story of the beauty school she founded in the middle of Kabul and of the vibrant women who were her students. When Rodriguez opened the Kabul Beauty School, she not only empowered her students with a new sense of autonomy but also made some of the closest friends of her life. 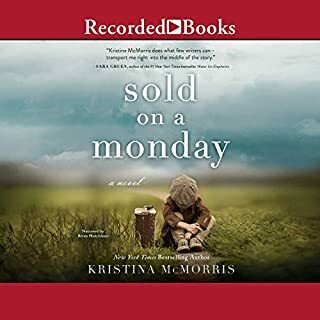 Three people find their way back from loss and loneliness to a different kind of belonging in this deeply moving novel. 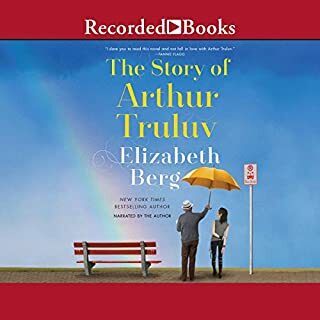 Arthur, an old widower struggling to overcome his grief, meets Maddy, a troubled teenage girl who avoids school by hiding out where Arthur goes every day for lunch. The two strike up a friendship that draws them out of isolation. For 12-year-old Ernest Young, a charity student at a boarding school, the chance to go to the World's Fair feels like a gift. But only once he's there, amid the exotic exhibits, fireworks, and Ferris wheels, does he discover that he is the one who is actually the prize. The half-Chinese orphan is astounded to learn he will be raffled off - a healthy boy "to a good home". The winning ticket belongs to the flamboyant madam of a high-class brothel, famous for educating her girls. In answer to the question of what happened following her New York Times best seller Kabul Beauty School, Deborah Rodriquez is back with a new memoir Irreverent, insightful, and blatantly honest, Deborah takes us along on her inspiring journey of self-discovery and renewal after she is forced to flee Afghanistan in 2007. She first lands in California, where she feels like a misfit teetering on the brink of sanity. Where was that fearless redhead who stared danger in the face back in Kabul? 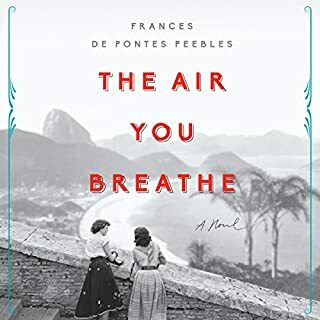 An enchanting New York Times and international best seller and award-winner about life, art, literature, philosophy, culture, class, privilege, and power, seen through the eyes of a 54-year-old French concierge and a precocious but troubled 12-year-old girl. A young English woman leaves her ageing parents to visit friends living in the Australian outback, where she quickly falls in love - both with the country and with Carl, a doctor and Czech refugee. Brought together through dramatic encounters and strange twists of fate, their relationship hangs in the balance when Jennifer is called back to England. September 1911. On Ellis Island in New York Harbor, nurse Clara Wood cannot face returning to Manhattan, where the man she loved fell to his death in the Triangle Shirtwaist Fire. Then, while caring for a fevered immigrant whose own loss mirrors hers, she becomes intrigued by a name embroidered onto the scarf he carries...and finds herself caught in a dilemma that compels her to confront the truth about the assumptions she's made. Will what she learns devastate her or free her? From the author of the “bighearted . 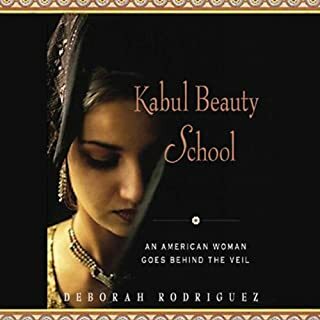 . . inspiring” (Vogue) memoir Kabul Beauty School comes a fiction debut as compelling as real life: the story of a remarkable coffee shop in the heart of Afghanistan, and the men and women who meet there - thrown together by circumstance, bonded by secrets, and united in an extraordinary friendship. After hard luck and some bad choices, Sunny has finally found a place to call home - it just happens to be in the middle of a war zone. The thirty-eight-year-old American’s pride and joy is the Kabul Coffee House, where she brings hospitality to the expatriates, misfits, missionaries, and mercenaries who stroll through its doors. She’s especially grateful that the busy days allow her to forget Tommy, the love of her life, who left her in pursuit of money and adventure. Working alongside Sunny is the maternal Halajan, who vividly recalls the days before the Taliban and now must hide a modern romance from her ultratraditional son - who, unbeknownst to her, is facing his own religious doubts. Into the café come Isabel, a British journalist on the trail of a risky story; Jack, who left his family back home in Michigan to earn “danger pay” as a consultant; and Candace, a wealthy and well-connected American whose desire to help threatens to cloud her judgment. When Yazmina, a young Afghan from a remote village, is kidnapped and left on a city street pregnant and alone, Sunny welcomes her into the café and gives her a home - but Yazmina hides a secret that could put all their lives in jeopardy. As this group of men and women discover that there’s more to one another than meets the eye, they’ll form an unlikely friendship that will change not only their own lives but the lives of an entire country. 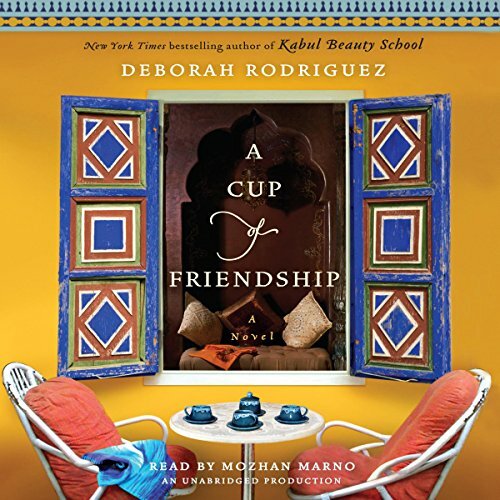 Brimming with Deborah Rodriguez’s remarkable gift for depicting the nuances of life in Kabul, and filled with vibrant characters that readers will truly care about, A Cup of Friendship is the best kind of fiction - full of heart yet smart and thought-provoking. This is a lovely little book and easy to listen to. I also learned a lot about Afganastan and the Taliban. The story is fairly predictable, but told in a way that was interesting and held my attention ... yes, even while driving on the Interstate. Perfect summer book. What made the experience of listening to A Cup of Friendship the most enjoyable? With so many words not familiar to an English speaker it was entertaining to hear how to pronounce them correctly. What was one of the most memorable moments of A Cup of Friendship? I can not pick just one. So many great sub plots. What does Mozhan Marno bring to the story that you wouldn’t experience if you just read the book? Of course Deborah Rodriguez writes the most amazing novels and I am waiting for her next, but I need to sign the praises of the narration. Mozhan Marno is a joy to listen to. She never screeches, always has a pleasant voice. Marno has a numerous accents down pat, and gives different characters their own cadence. Isabell sounds haughty, Yasminia sounds humble. What a joy! I will look for other books read by her! If you could rename A Cup of Friendship, what would you call it? I liked the original name. Cup of friendship doesn't tell me that it is about life in Afghanistan. If I wasn't looking for more books written by Deborah Rodriguez, I wouldn't have found this book. Debbie, please write more books. 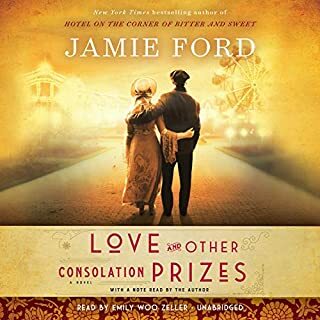 I was recommended to read this book and it was my very first audible fiction I read and the first one ever to actually have gone through the ending as I tend to easily get sick of books about half-way through. 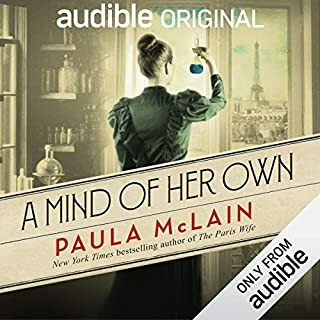 This was the first one I actually came to listen to every single day and just loved it, which made me feel like wanting to purchase the e-book version of the following series. Lovely storyline with detailed description of the traditional costumes, not very overwhelming explanation of the background which didn’t disturb reading it through without much of the cultural background of the setting. I loved it! A charming story about how a little coffee shop changed the lives of the many that frequented it. A match for The Kite runner! If you could sum up A Cup of Friendship in three words, what would they be? What other book might you compare A Cup of Friendship to and why? She gives each their true voice. Who was the most memorable character of A Cup of Friendship and why? Jack: A brave man who is not afraid to risk his life to save his female friends. Totally wow - listen! Honesty, I have listened 20 times since buying it and I am delighted to say it still takes me to new levels.